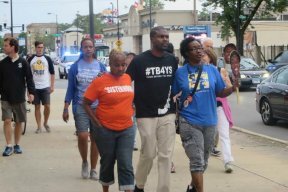 Ford, families and friends of victims and community activists began their march through the streets of the Austin community on the corner of North Central Avenue and West Lake Street, and ended their march at Laramie and Jackson, where on Sunday, August 13, 2017, two men were killed as they were walking up the church steps to attend services at Friendship Baptist Church, which is led by Pastor Reginald E. Bachus. Austin saw the most murders in 2016 of any community area in Chicago, with 92, and also had the most total shootings in 2016, with 537, and is on pace to surpass these numbers in 2017. 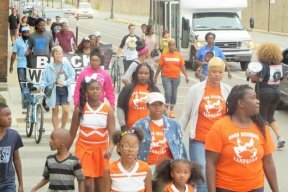 The aim of the march was to bring light to the amount of innocent life that is being taken in these slayings, and to call community members, elected officials and law enforcement to act to put a halt on violent crimes. Ford represents the 8th Representative District, which contains parts of Chicago’s Austin neighborhood and portions of Berwyn, Brookfield, Forest Park, La Grange, La Grange Park, North Riverside and Oak Park. 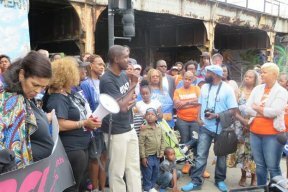 For more information, please contact Rep. Ford’s district office at 773-378-5902 or visit www.LaShawnFord.com.